Oxford University Press, USA, 9780190278502, 416pp. 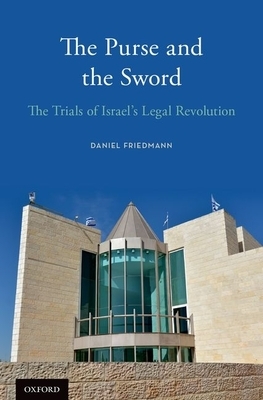 The Purse and the Sword presents a critical analysis of Israel's legal system in the context of its politics, history, and the forces that shape its society. This book examines the extensive powers that Israel's Supreme Court arrogated to itself since the 1980s and traces the history of the transformation of its legal system and the shifts in the balance of power between the branches of government. Centrally, this shift has put unprecedented power in the hands of both the Court and Israel's attorney general and state prosecution at the expense of Israel's cabinet, constituting its executive branch, and the Knesset--its parliament. The expansion of judicial power followed the weakening of the political leadership in the wake of the Yom Kippur war of 1973, and the election results in the following years. These developments are detailed in the context of major issues faced by modern Israel, including the war against terror, the conflict with the Palestinians, the Arab minority, settlements in the West Bank, state and religion, immigration, military service, censorship and freedom of expression, appointments to the government and to public office, and government policies. The aggrandizement of power by the legal system led to a backlash against the Supreme Court in the early part of the current century, and to the partial rebalancing of power towards the political branches.